veted positions, like camps in the Ukraine, Belarus, Russia, and Germany were handed to him, as he forged connections to all those he met. Mushky Hurwitz also grew up in the Crown Heights section of Brooklyn. Her family name is synonymous with the words giving, and helping others. With her parents as role models Mushky has devoted herself to a life of being there, and helping another person. She went to schools in Crown Heights, and then immediately set off to enhance the Chabad of Gothenberg community. Her personality preceded her, and she was hand-picked to do a camp in Chevron, Israel with campers that have been affected by the fighting in their surroundings. Her gentle nature, and unwavering standards seems to be the perfect paradox, but they work perfectly together to create a wholehearted and serene environment around her. No matter what seems to be thrown her way, Mushky emerges with dignity, and courage. When she worked with the elderly, they loved her, and when she ran the Hebrew day school with the little ones, she was wildly successful. From Queens, to Israel, to Gothenberg, Mushky left a trail of happiness, and prosperity behind her. Mushky has always dreamt of directing a Chabad House. From hosting Shabbat and holiday dinners to studying with bat mitzvah girls and community members, forging lifetime friendships with those who cross her path, Mushky is excited to get going. 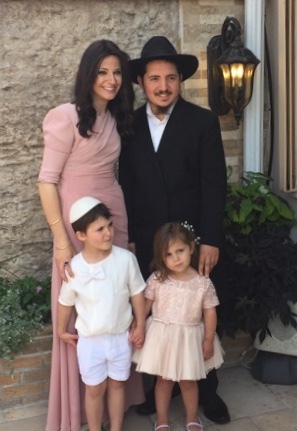 Rabbi Shaya, and his wife Mushky look forward to sharing their passion, and establishing Chabad of the North Fork, creating a vibrant community center where all Jews feel welcome.